The report is out, Singapore just narrowly avoided a technical recession. 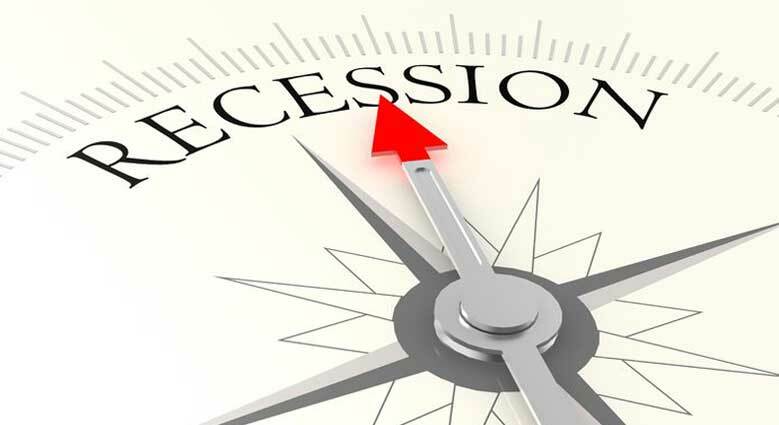 Well, what exactly is a “recession”? In Investopedia terms, it means that the economy contracted for 2 consecutive quarters. From Apr to June, the Singapore economy contracted 2.5%. Many were expecting the worse for the period from July to Sept and the good news is that there was a growth of 0.1%. Thus, the use of the word “narrowly”. What does it really mean to us when we read news like this? For most of us, the difference between 30th Sept and 1st Oct will not be apparent even if Singapore did go into a technical recession. We don’t expect to suddenly lose our jobs overnight nor will it be likely that our home prices will drop by a double digit percentage overnight resulting in negative equity situations and a calling back of loans. Then, how does this really affect us? A single quarter contraction perhaps, is like having a headache. If it goes away after a good rest, there is nothing to worry about. However, if it persists longer even after a good night’s sleep and a couple of Panadol, then more attention should be given and that is what a “technical recession” is. It may be nothing or it could mean something serious is developing in the horizon. We should not wait for the effects of persistent migraine and the diagnosis of a serious illness before we start getting insurance and our contingency plans in place. Similarly, these recent numbers may be a good reminder for us to review our personal finances to ensure we are financially “recession ready”. We don’t want to start feeling the effects of persistent “financial migraines” before scrambling to arrange our plans in order. Ensure the premiums are up to date and “giro it” if possible. Losing your job is bad. Losing your job and your health is worse. Losing your job and your health at the same time with your medical insurance lapsed is bad beyond words. “Earth provides everything to satisfy a man’s needs, but not every man’s greed” says Gandhi. Time to do a greed check and “ceiling the discretionary”. Bonus, as the name suggests, is an extra. During good times, they are entitlements. During bad times, they are buffers. Think winter all summer and commit to save this year’s extras and entitlements. Liquidity is the oxygen of every financial plan. Prepare a bit more oxygen canisters when the going is expected to get tough. No matter how fit and tough you are, you still can’t run a marathon with no oxygen. If you can’t do so now, you sure won’t be able to do later if a recession starts. Don’t wait for stale loans to turn bad before trying to do salvage something. You will be lucky to get back anything. If you are growing and progressing well in life, there is always the next car to upgrade to and the next house to own. It’s worth reminding ourselves that sometimes, the best value for big ticket purchases can be found during a recession, not when times are good. Always wanted to start a business? It’s time to reconnect with what really inspires you in case there is an opportunity to start a business by yourself, for yourself. One of the most effective way to find employment is to be referred. Touch base with old relationships, especially those who know how capable you are. However, don’t fake anything, keep in touch because you really care about how other people are doing. Go with the flow, use the Skills Future credits wisely and learn things that will help you to be more employable and put more strings to your bow. On one hand, we hope that the economy never slows down and life will always be a bed of roses. On the other hand, expansion and contraction are a natural part of business and economic cycles. The middle path then may lie in always expecting the best and at the same time, be totally prepared for the worst. Happy preparing and you know that your GEN planner is just an email away! Critical Illness Insurance – How does it provide financial protection against cancer and other serious illnesses?